Blistering barnacles! When I heard a couple of years ago that Steven Spielberg and Peter Jackson would be making a feature film about Tintin, my initial reaction was a mix of eager anticipation and mild dread. Though I’m no Tintinologist, I’ve read and re-read all the books many times, beginning as a child but mostly with my oldest and especially my middle son in the last several years. We even have some in French and Hungarian. 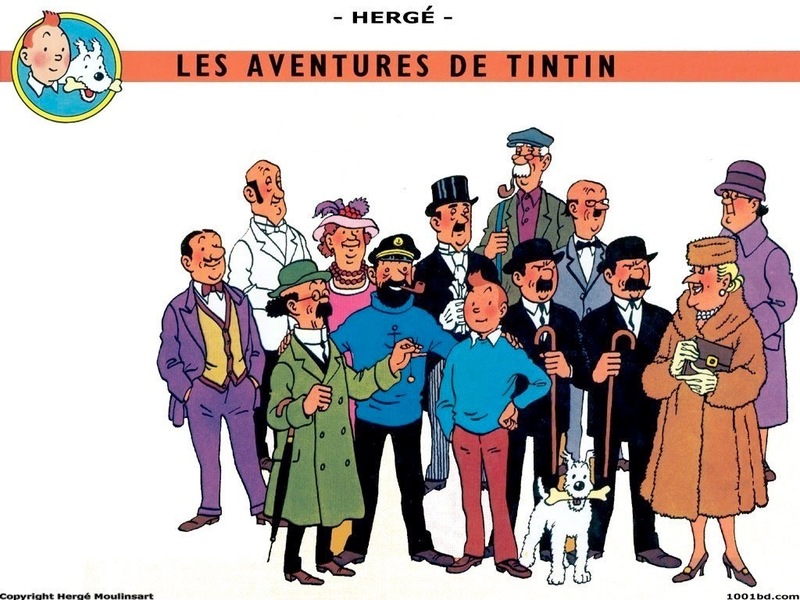 Would Spielberg’s involvement popularize an internationally-beloved series that very few Americans seemed to know or care about or would the Hollywood treatment cheapen Hergé’s magical tales? I took my 11-old year, along with a friend of his who shares his love of all things Tintin, to see it at our local movie theater on opening night. Although it was the second showing of the day, we were the first ones in town to see it as nobody had shown up for the 5:00 screening (and there were only six people besides us when we saw it). Not a good sign, commercially-speaking at least. After having seen the previews, I went in with fairly low expectations. The mixture of live shots and animation looked weird and I could tell that the story mixed elements of three books: The Crab With the Golden Claws, Red Rackham’s Treasure and The Secret of the Unicorn. Another thing that annoyed me about the preview was how it started: “From the two greatest storytellers of our time … Steven Spielberg and Peter Jackson …” Uh, what about Hergé, guys? Well, the film started out by addressing this issue head on with an homage to the artist, whom they portray drawing a caricature of Tintin in the Old Street Market. “I’ve drawn you before, haven’t I?” But the storyline was even more twisted than I had feared, turning marginal characters into bad guys for example and turning a bad guy into a marginal character, among other travesties. But guess what – it works. It was really an excellent, gripping story for children and adults alike. Tintin, Captain Haddock, Snowy and Thomson & Thompson looked and sounded right. I’m not sure if it will be a financial success but, if it is, I wonder if it will spur many sales of the original books. After seeing the Hollywood version, will kids have patience for the wonderfully-drawn and cleverly-translated stories or will they just buy the X-box game and the action figures? One can only hope. In any case, I’m looking forward to seeing it again soon and to the sequel. This entry was posted in Media, Uncategorized and tagged hollywood, movies, spielberg, tintin. Bookmark the permalink.